ViewSonic is likely a company you may not have yet heard of, but they are making some big waves in the monitor market. Granted, the company did change its name not too terribly long ago, but the overall organization has been around for over 30 years. Still, it has only been within the past few years that ViewSonic took is a budget-friendly business model and started to put a bit more expense into their products. The result is a monitor lineup that provides a wide range of different types of monitors that each fill distinct niches while also being less expensive than their competition. While we consider this the best gaming vertical monitor on the market, it also managed to garner our Editor’s Choice award too. One of the most important qualities when it comes to a high-end gaming computer is the speed. While the computer itself requires a number of different components to provide competitive speed, the ViewSonic monitor matches that to stay in the game. For instance, this monitor has the fastest frame rate that we saw — and the industry ceiling — at 240 Hz. On top of that, the actual display response time is a brief 1 ms, which when combined with the frame rate, ensures that you see everything in as close to as real time as possible without blurring or color artifacts. 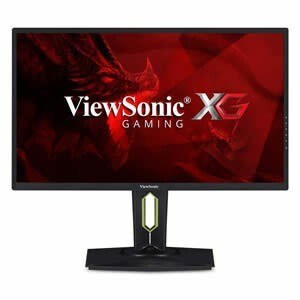 Even better, the ViewSonic monitor also comes pre-equipped with Nvidia G-Sync to provide additional speed and smoothing functionality to those users who have a Nvidia GPU. LCD displays are generally not as good for casual purposes, but ViewSonic understands that an expensive monitor is liable to be used for a wide range of purposes. That is why ViewSonic made it a point to provide a number of visual features that will improve the monitor’s image quality in a wider range of functions. For instance, if you want to watch a movie, the generally poor blacks that LCD displays can ruin the atmosphere. Thankfully, the ViewSonic is an LCD display that also comes with Black Stabilization technology to more precisely control the depths of the blacks. In order to prevent any video content from blurring at even the most minute scales, the ViewSonic also comes with Ultra Low Motion Blue technology. Even if you are not a gamer, the ViewSonic vertical monitor offers a great image quality despite being an LCD display. Even better, many of the features that are designed to improve the experience of gamers easily translate to more casual experiences to increase performance. 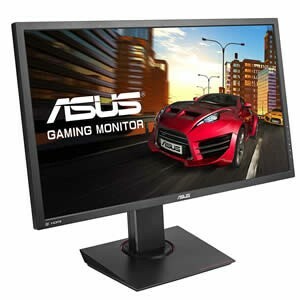 This is also by far the fastest monitor that we saw with a response time and frame rate which both top our list. Of course, if you are a gamer, these features will keep you competitive while the Nvidia G-Sync and various included game modes for different genres of games are icing on the cake. 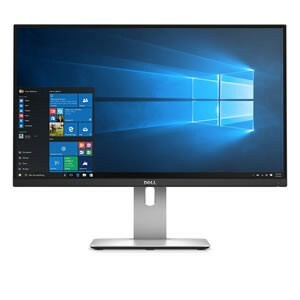 Dell is one of the most famous and well-known manufacturers of computers and their peripherals in the world, and this particular monitor almost made our Editor’s Choice pick. Unfortunately, this particular monitor is no longer supported which means that the firmware updates are infrequent and often a bit buggy. Of course, if you are not trying to do anything beyond general consumer uses, this will not be an issue. However, professional creatives and gamers alike will likely want something a bit more reliable with new drivers. Still, if you do not use some of the more impressive software on the market, the Dell Ultrasharp is easily the best 2K vertical monitor that we came across. By far one of the best qualities of this monitor is how clear and true the image quality is to real life–though it is not the best image quality on our list. That said, the Dell Ultrasharp does have an LED screen which allows for much deeper darks than an LCD screen. On top of that, Dell makes it a point to ensure that their image quality is as accurate as possible by pre-tuning the monitor to provide a 99-percent sRGB color accuracy. Even better, this monitor also has a DeltaE rating below 3 which allows this monitor to provide a wider range of colors as well. Finally, the Dell Ultrasharp is also the only monitor on our list that has a 2K resolution which is ideal for most situations. One of the better aspects of the Dell Ultrasharp is that the monitor is designed to be functional for most uses but easy for all purposes. By that, we mean that there are a number of different qualities which make this vertical monitor a bit easier to use than some of the others we saw. For instance, this monitor has an incredibly thin bezel as well as a firmware that makes it especially easy to set up a multi-monitor system — even if the firmware has issues with the newest drivers. On top of that, this multi-monitor arrangement is further enhanced with an ultra-wide viewing angle of 178-degrees from all directions. ASUS is a major manufacturer of both computer components as well as peripherals and regularly competes with the top-tier manufacturers. In fact, ASUS is the brand that has an exclusive rights deal with Republic of Gamers, or ROG. To take it one step further, the ASUS monitor may not be designed by ROG, but it is still one of the better monitors for gaming that we saw. However, the biggest selling point of this monitor definitely has to be its resolution which is the highest on our list. As such, it seems like a relative no-brainer to rank this as our best 4K vertical monitor that we encountered. It should not be understated how important getting a 4K monitor is at this point in the technology development cycle. While most of the video content today is still being shot in 1080p, that is mostly due to how expensive 4K cameras have been–especially at the cinema-grade. However, those costs have been declining rather quickly in the past few years which is leading to more and more content being made that is 4K. As such, a 4K monitor will help ensure that not only do you have the best resolution today but will continue to have the best resolution well into the future. It is also worth noting that 4K resolution is pretty close to as good as you can physically get with 6K being the only meaningful improvement. Outside of the impressive resolution, the ASUS also provides a number of other impressive features like a 1 ms response time. Considering that the ASUS vertical monitor is designed to be a 4K gaming monitor, the fact that it uses a TN panel is a necessary evil. That said, the fact that this monitor is known for having firmware issues as well as durability issues definitely knocks it a bit lower on our list. Still, if you have an AMD GPU, then this is easily one of the best monitors you could use as it comes pre-equipped with AMD FreeSync Adaptive-Sync technology. Even better, the ASUS also comes with proprietary gaming features like GamePlus and GameVisual. Dell makes our list once again, but this time, the company appeals to the more professional needs of creative workers. Whether you are working on static or rendered images, the Dell Professional provides pretty much everything that a creative professional would need. Granted, this does mean that the Dell Professional may not necessarily be the best vertical monitor for all purposes, it does still provide a solid performance in the more casual situations as well. This combination of features makes the Dell Professional our best professional vertical monitor reviewed. One thing that a creative professional cannot deal with is a monitor that displays a finished product differently than their intended audience will see it. That is a big part of the reason that the Dell Professional has an LED display that is combined with an IPS panel. This combination allows the Dell Professional to provide one of the truest images that we saw with a dynamic contrast ratio of 4,000,000:1. 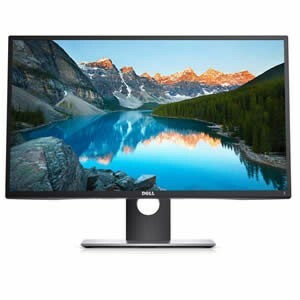 Even better, the Dell Professional also features an ultra-wide viewing angle to allow for a multi-monitor arrangement without having to worry about distortion. The Dell Professional may provide one of the best image qualities that we saw, but it is not without its flaws either. Specifically, this particular model seems to have some issues with QC, though that actually depends on the seller. On top of that, the Dell Professional has a frame rate of only 60 Hz which is fine for most purposes but can lead to some blurring issues depending on what you are using the monitor for. Of course, a creative professional is unlikely to use their monitor in a professional context in a way that this issue would actually cause a problem. Instead, a creative professional will appreciate the numerous eye-protection features that allow them to work for hours on end. HP used to be one of the biggest manufacturers of computers in the world but has recently moved more towards peripherals in recent years. 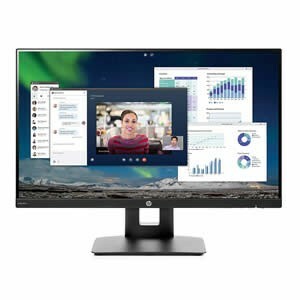 That said, their experience with both markets allows HP to provide a quality vertical monitor at a much lower price than many other vertical monitor manufacturers can. Of course, when you are looking for a budget-friendly product, you need to make sure that there are no major flaws which will ultimately ruin the experience. Thankfully, HP understands this all too well and provides by far the best budget vertical monitor we found. While not every aspect of the HP is ideal for image quality, most of the features provide for a better than average image quality. For example, this is one of the few vertical monitors we saw that featured the excellent combination of an LED display with an IPS panel. This allows the HP to provide some of the best contrast that we saw with a 10,000,000:1 dynamic contrast ratio — the best contrast ratio that we reviewed. This combination also provides for some of the truest color representation as well — though this does not make the HP great for every purpose. Another great thing about the HP vertical monitor is that various features allow it to be a great multi-monitor option. Consider that a multi-monitor system will necessarily require two or more monitors which is much easier to do when the monitors are less expensive. However, the extra-thing bezel of the HP also provides for some of the best and near-seamless multi-monitor setups. On top of that, the 178-degree viewing angle ensures that the image will not distort if you need to tilt or rotate the monitor as well as pivot. Final Thoughts: Which One Vertical Monitor to Buy? Ultimately, the best vertical monitor will be the one designed to accomplish the tasks you require. Of course, most people use their monitor for casual purposes as well as specialized ones which is precisely why we ranked the ViewSonic as our Editor’s Choice recommendation. With a frame rate of 240 Hz and a response time of 1 ms, your monitor will not slow down your viewing experience. On top of that, the ViewSonic also comes with a number of features that make up for the LCD display necessary for those blistering speeds. Of course, if you need a less expensive option or one designed more for a creative professional, the HP and the Dell Professional are great options for those purposes, respectively. While these vertical monitors are not ideal for the fastest speeds, they both have an LED display with an IPS monitor for some of the most accurate and true image quality that we saw. HD – While HD may have seemed new and impressive a decade ago, these days HD is considered an essential standard. You would likely have difficulty finding a monitor that does not at least provide an HD resolution. That said, there are still plenty of monitors made that only present in a 720p resolution rather than the superior 1080p resolution. Regardless, this is actually considered the baseline for monitor resolution and should not really be viewed with anything more than contentment–certainly not excitement. This resolution is generally best suited for casual or recreational use of the monitor as most visual content is recorded in this resolution. In fact, whether you are watching videos, playing games, or rendering footage, this will generally be the resolution used. QHD/2K – Despite what the name might suggest, a 2K resolution is not actually twice as good as a standard HD. In fact, the standard 2K resolution only provides a modest increase in the width resolution of the monitor. That said, other resolutions also fall under this heading as well. For instance, the 1440p, also known as, SuperHD is technically considered a 2K resolution due to the fact that this is actually the resolution that offers a significant increase in the resolution compared to 1080p — over 1.5 megapixels more. In another counterintuitive shocker, this is actually the best resolution for a gaming monitor since it can have a higher framerate than the lofty 4K monitors. As such, the best vertical monitor can easily provide a 2K resolution with a number of other features for the best all-around experience. UHD/4K – This is considered the pinnacle of consumer-grade monitors, though 6K and 8K technically do exist. However, the human eye maxes out at 6K resolution, so 8K is little more than a marketing scam that you cannot derive any real benefit from. 4K resolution provides nearly four times the number of pixels as a standard 1080p resolution which is where the name derives. While this may seem like a no-brainer for gamers, the upper limit of 60 Hz for the frame rate diminishes the value of this resolution for that purpose. However, creative professionals will generally appreciate the additional detail as it relates to their work. It is also worth noting that while the content catalog might be slowly increasing, the overwhelming amount of video content is also filmed in 1080p resolution, meaning that a 4K monitor will not present those images at a better resolution than they were filmed with. Depending on what you generally use the monitor for, this is either an incredibly important consideration or one that merely needs to meet industry standards. This aspect is defined by Hertz (Hz) which corresponds to the number of times the image refreshes in a second. For a display, this is akin to the fps, or frames per second, of recording devices and will generally translate for viewing needs. Keep in mind, most movies and television shows are actually filmed at 30 fps, so a monitor with a frame rate higher than that will need more intensive applications to get your money’s worth. That said, most of the highly competitive games allow for increased frame rates–sometimes as much as 240 Hz–which can provide a competitive advantage. Of course, if you are anything other than a highly competitive gamer, a frame rate of 60 Hz is generally more than sufficient for your needs. LCD – This is easily the most common type of display used for a monitor primarily due to the price. LCD monitors are significantly less expensive to manufacture, though some television manufacturers are challenging that trend. LCD, or liquid crystal display, uses a back or edge lighting system to illuminate the display. This type of display is generally not seen quite as good as an LED, though the differences are not always that stark. Most of the time, an LED display can present much deeper blacks and might be able to offer a wider viewing angle, but the actual resolution and clarity of the image do differ by any significant degree. That said, LCD displays can often suffer from the backlight spilling out of the monitor’s housing or even bleeding through the image on-screen. On the other hand, LCD displays also regularly provide the fastest frame rates which make them particularly useful for gamers. 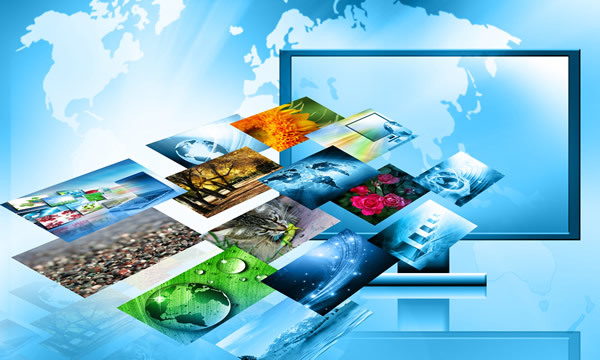 LED – LED, or light-emitting diode, displays are often seen as superior to LCDs, but they are also often more expensive. Some manufacturers have started using advanced LCD displays to compete with LEDs, but they still fall behind in many respects. Specifically, the color and angular viewing qualities of an LED often outperform the most advanced LCDs. On the other hand, LCDs have a tendency to provide a faster response time than LEDs, so this type of display is less popular for gaming monitors. Of course, a creative professional will likely appreciate the truer colors that you will find on an LED display. 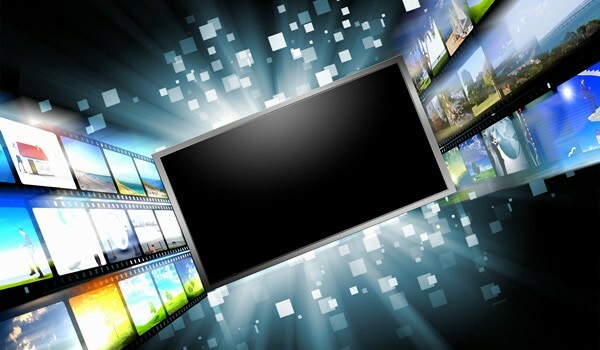 In terms of recreational viewing, LEDs have a tendency to provide a better viewing experience thanks to their ability to produce significantly darker blacks than a backlit LCD. TN – TN, or twisted nematic, display panels are easily the most common type of panel used in monitors. This is due to the fact that they are the least expensive type of panel to produce and are even considered the industry standard for LCD displays. In terms of performance, a TN panel offers excellent response time — often twice as fast as the other types of display. On the flip side, since it is limited strictly to LCD displays, TN panels are noted for producing a worse quality image. Keep in mind, the image quality is determined by a static image while the response time will affect the clarity of a moving image. Due to their quicker response times, TN monitors are often the preferred choice of gamers who can win or lose in a matter of milliseconds. IPS – IPS, or in-plane switching, display panels take pretty much the opposite approach as TN panels–at least in terms of performance. IPS panels are noted for producing some of the richest and truest colors as well as some of the deepest, inky blacks. This is especially useful for professional creative uses where the image quality displayed on the monitor must reflect the image quality that the end-user will see. While this type of display panel produces the crispest image quality around, its response time lags behind some of the other panels types, making it a poor choice for gamers. MVA – MVA, or multidomain vertical alignment, display panels split the difference between the first two in many respects. For instance, an MVA panel will produce a far better image quality than a TN but not as good as an IPS monitor — this is especially true for color accuracy and different viewing angles. On top of that, MVA monitors also provide the best contrast out of the different panel types which make them especially good for watching movies or other cinematic content. On the downside, an MVA monitor has the worst average response time of the three different types which makes it substandard for gaming. whether on a monitor, television screen, or even a smart device. That said, human eyes are not evolved to look at this type of illumination for hours on end and can lead to ocular muscle strain and other vision-related issues. In response to this growing problem, more monitor manufacturers are beginning to include features which reduce the strain on your eyes. By far one of the more common and effective methods of combating eye strain is to reduce the amount of blue light the monitor displays. Another good feature to look for if you suffer from eye strain is a flicker-free monitor. Adjustments – While this article focuses on monitors that allow for a vertical alignment, it is worth noting that these monitors also often allow for other alignment adjustments as well. While these may seem minor in comparison, they often provide significant convenience for less than ideal seating or positioning. If you have ever looked at a monitor assembly diagram, you will know that monitors should be positioned a precise distance and height from you. Of course, if you do not have the furniture to accommodate this, being able to tilt or rotate the monitor to achieve a close facsimile is a good feature to have. Viewing Angle – The viewing angle goes hand in hand with the adjustments that the monitor can make. This is because some types of panels do not present the same image depending on the viewing angle. As your viewing angle gets wider, many monitors will appear to distort or blur as well as present inaccurate colors. This has a bit to do with the directionality of the light from the monitor with manufacturers making it a point to provide a bit broader of a range to account for this effect. In fact, some manufacturers have gotten so good at this that they can provide a 178-degree viewing angle which is just 2-degrees from being horizontally level with the monitor.